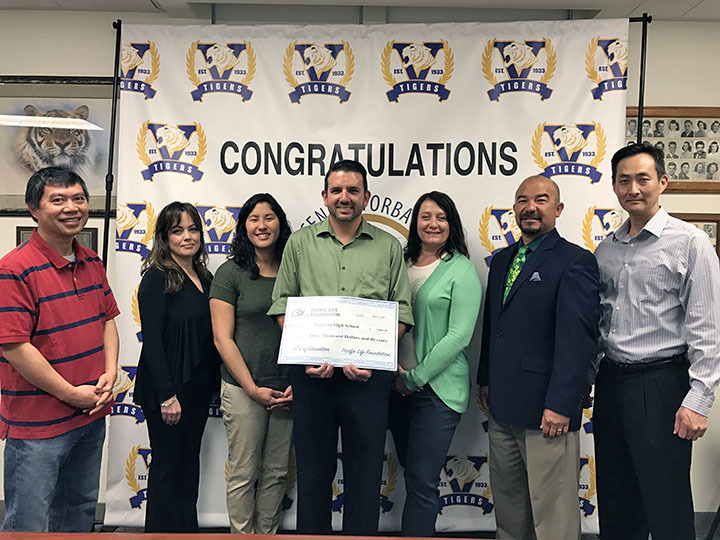 Congratulations to the Valencia High School Science Department, which received a $3,000 STEM (science, technology, engineering and mathematics) grant from the Pacific Life Foundation. Department Chair Brady Bilhartz received the award from Pacific Life, and plans to use the funds to update technology in the Science Department. Representatives from Pacific Life Foundation include the parents of three Valencia students. Great work Tigers! Be the first to comment on "Valencia Science Department receives STEM grant"